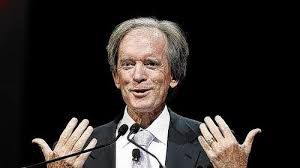 Financial advisors and the investment community were shocked this past Friday when Bill Gross, sometimes referred to as “the bond king” resigned from Pimco, a firm he founded in 1971 that rose to become one of the largest mutual fund management firms in the world. Gross also served as fund manager for the $221.6 billion Pimco Total Return fund, and made frequent television appearances. Although the move was surprising, it was not hard to find reasons for the departure. The Total Return Fund had seen investor redemptions totaling $68 billion in the past 16 months. Many KFG clients will remember we previously had positions in the fund. We liquidated most of those positions several years ago. More recently, Gross has been under investigation by the Securities and Exchange Commission on a charge that an exchange-traded fund he was managing had illegally inflated its performance numbers. Prior to that, Gross publicly feuded with the man regarded as his successor, Mohammed El Erian, who had become a public face of Pimco with his book outlining a “New Normal” in the investment landscape. Gross has taken a new position at Janus Capital Group, where he will manage a new fund called Janus Global Unconstrained Bond Fund in a new Janus office to be opened near his home in Newport Beach, CA. Some have speculated that investors will pull more money out of the Total Return Fund and follow Gross over to the new fund, where Gross will have the total control that he sought, and was denied, in his later years at Pimco. Meanwhile, Pimco seems to be in good hands, with Gross succeeded by Daniel J. Ivascyn, formerly deputy chief investment officer. The Total Return Fund will be managed by longtime Gross associates Mark Kiesel, Scott Mather and Mihir Worah. What are we to make of all this? Today’s mutual funds are typically managed under a team approach. Gross was a throwback to an era when one manager would call all the shots and be rewarded (or not) according to whether his performance exceeded the market. Over time, it became obvious that he was impatient with consensus decision-making, which simply means he was out of step with modern fund management styles. It will be interesting to see if he is able to reproduce his (generally excellent) long-term track record in a more competitive market, particularly during this time period when the bond market has been dependent on Federal Reserve stimulus, which is winding down going into next year. Many advisors benefited from Gross’s investment talents, but some are also undoubtedly happy to see Pimco Total Return managed in a more collaborative atmosphere.